Use your iPad or iPhone to connect to your home computers, network drives and cloud storage. 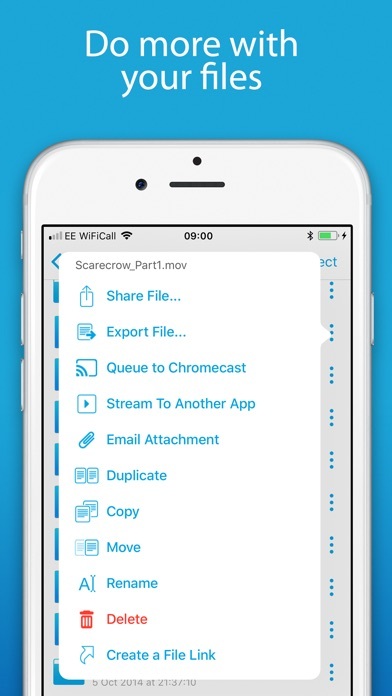 Easily upload/download/copy files and folders from one location to another, and browse your content using a variety of built-in viewers. *** FileBrowser remains the best option if you’re looking for a file manager that supports a variety of external connections and also integrates deeply with iOS11 - Federico Viticci - MacStories *** *** FileBrowser's setup varies for every device, and the automatic wizards work super-well. Charlie Sorrel - Cult of Mac *** Ultra-fast browsing of your computers. 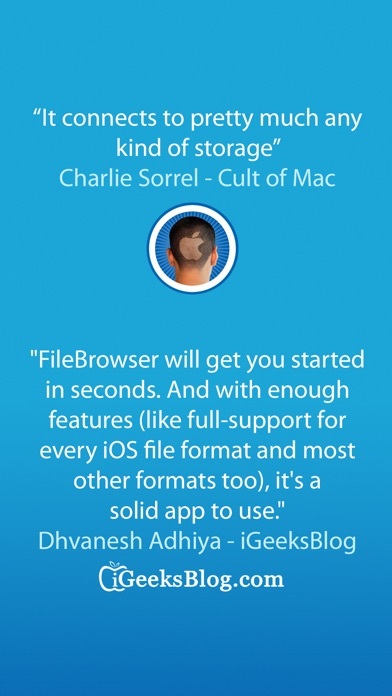 Faster than Windows Explorer or Mac Finder and our users agree! 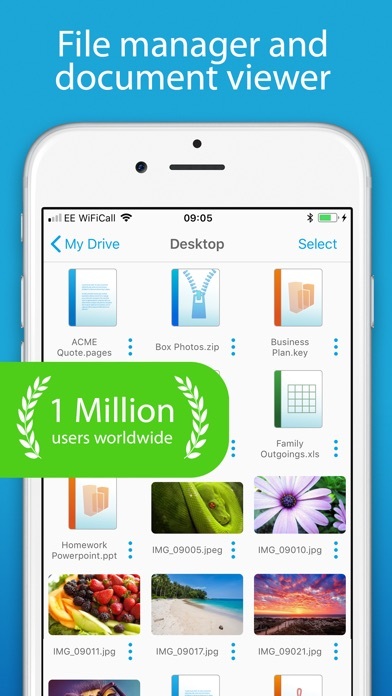 GET ORGANIZED FileBrowser gives you everything you need to keep your files effortlessly organized: Move, edit, delete, rename, copy, zip and unzip. Download files from the web and paste them wherever you choose. Fully supports iOS11 drag and drop and iPad split-screen. CONNECT TO Windows, Mac, Linux, Time Capsule, NAS drives, portable WiFi drives. 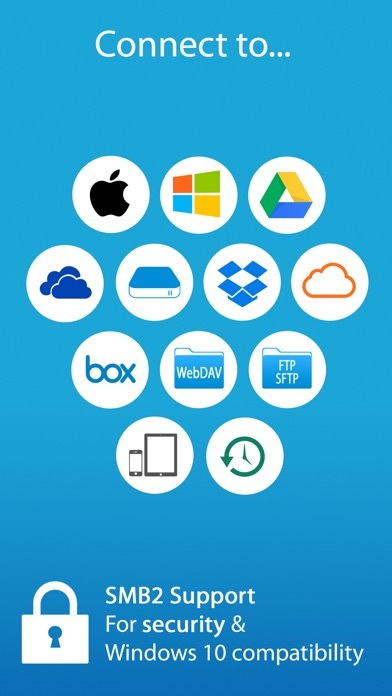 Google Drive, Dropbox, Box, OneDrive, WebDAV, FTP and SFTP. Link to cloud storage with multiple accounts, essential if you have more than one Dropbox account. EXTEND THE FILES APP FileBrowser allows you to access all your connections from iOS11 Files and other apps. Open and edit documents on your computer or cloud directly from Word or Pages or any of the Office and Mac suite. Changes are saved automatically. BLAZINGLY FAST Create bookmarks to your favorite locations & folders. Use the Quick Access Tabs to connect and browse to a favorite folder with a single tap. PHOTO VIEWER Browse your photos wherever they are stored and display them on your TV or projector using AirPlay or Chromecast. 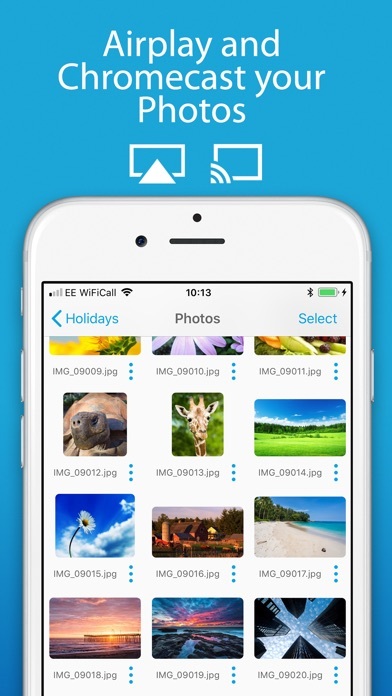 Easily flick through holiday snaps or use the built-in slideshow feature. 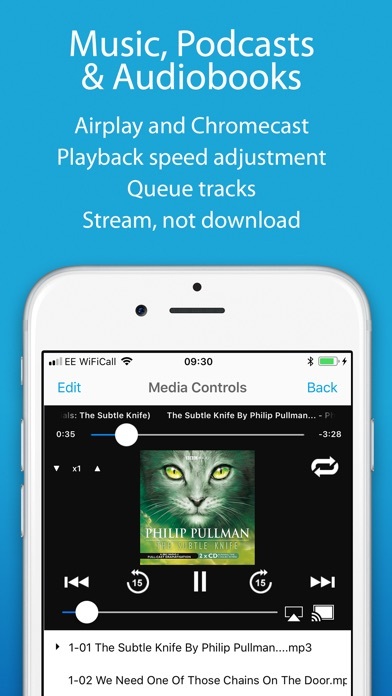 STREAM YOUR MOVIES / MUSIC Stream movie files or listen to music, both with AirPlay™ and Chromecast support. 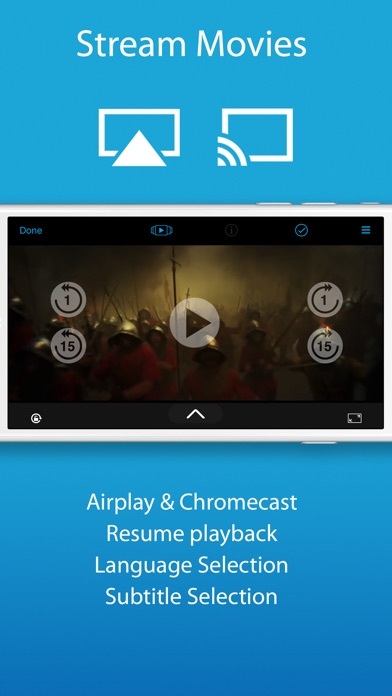 Use our built-in viewers or stream video to other apps. DOCUMENT VIEWER View Microsoft Office, Apple Pages, Numbers, KeyNote, text files, source code, HTML, and many more. 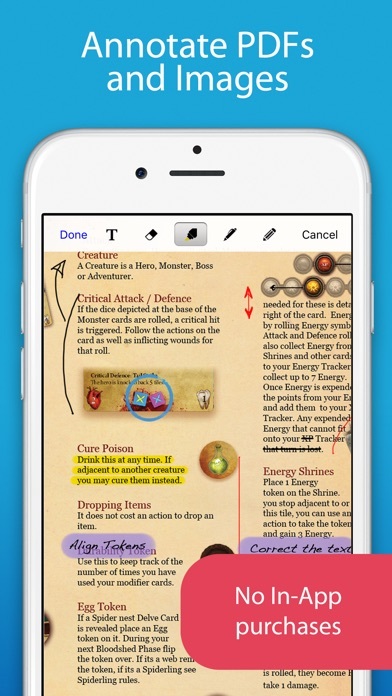 ANNOTATE PDFS AND IMAGES Use the built-in annotation tools for PDFs and images, or use the iOS11 annotation tools to add notes, drawings or highlight text. SECURITY AND ENCRYPTION FileBrowser securely stores your passwords in the iOS keychain and uses iOS encryption features to protect your local content. Protect local files using a password, TouchID or FaceID. CONNECT ANYWHERE Connect to your Mac or PC when away from home. 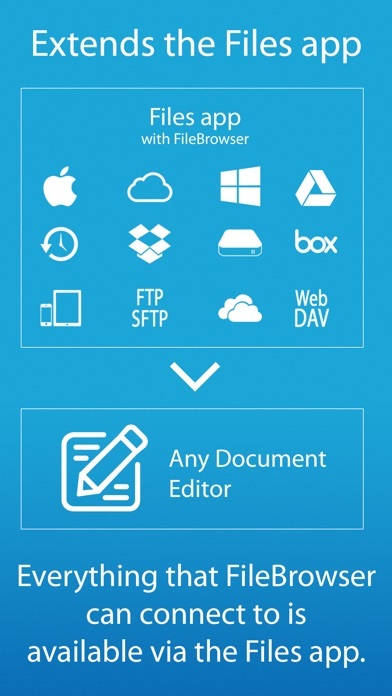 See our website for details: https://www.stratospherix.com/setupvpn TOO MANY FEATURES TO LIST FileBrowser has many features that we would like to tell you about. Check out our website. You’ll be amazed! https://www.stratospherix.com/products/filebrowser FIRST CLASS SUPPORT User manuals and help are available at stratospherix.com/support with how-to articles and videos. You can also email us for fast, friendly support. Seit der Installation des neusten Updates werden PDF-Dateien, die vom Server heruntergeladen wurden, nicht mehr korrekt an Acrobat bzw. PDF Expert übergeben. Dort heißt es dann, die Datei sei beschädigt, obwohl sie zuvor im File Browser korrekt angezeigt wurde. Seitdem für mich völlig nutzlos! Super App, ich nutze die App für den Zugriff auf meinen Synology NAS. Der FileBrowser ist um Welten besser als alle mitgelieferten Synology Tools, aus meiner Sicht. Diese App ist einfach super. Ich bin äußerst zufrieden. Besser kann man es kaum machen. Vielen Dank und weiter so. Zuggriff mittels afp wird nicht unterstützt. Damit kein Zugriff auf QNAP Geräte. Wirklich gutes Tool, das genau die Hilfen bietet, die man braucht, wenn man kein Handbuch durchlesen will. Einfach und verständlich tut es was es soll. Ich speichere wichtige Daten auf meiner NAS, so dass weniger BackUps notwendig sind und ich sie auch von meinem Mac aus bearbeiten bzw. lesen kann.